This pretty leaf brooch is sure to add a touch of enchantment to your bridal bouquet, wedding dress, or bridesmaids' dresses! It would also make a lovely birthday or Christmas gift. 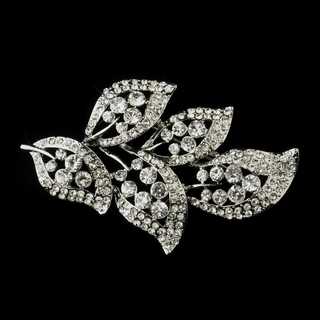 The brooch features a stunning antique silver-plated leaf adorned with dozens of sparkling clear crystals.